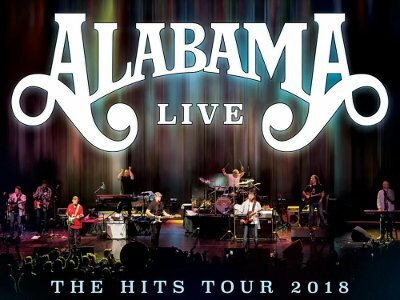 Alabama have an insurmountable task based on the name of their new trek, The Hits Tour 2018. Between their first major hit, 1980's "Tennessee River", and their participation on the 2016 hit "Forever Country", the band had 53 top ten hits including 34 that went to number 1. From 1980 to mid-1987, every one of the singles hit the top. So, while they are calling it "The Hits", it will obviously be a subset of hits from one of the most impressive runs in Country music history. Randy Owen said "This year's tour is for the lifelong fans, and also the younger generations just now discovering the music." Tony Conway added "The band is having fun, selling tickets, and sounding unbelievable vocally. This tour is about the music of the past 49 years the band's 43 No. 1 singles. ALABAMA is still and will always be the greatest country band in American History."